1. Dog Painting by OlgaGogole. 2. Tea cup with New Orleans inspired houses by wandersketch. 3. Cloud earrings in turquoise and gold leather by FushiaGold. 4. After the rain leggings by ZIBtextile. 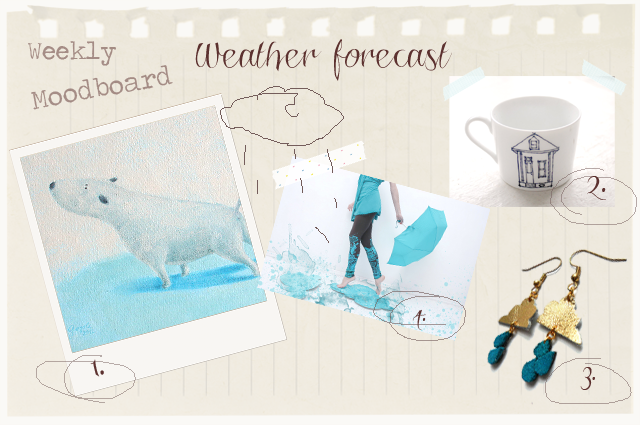 I love how you do the weekly mood boards! So much fun!